Back to London and back to work this week after a wonderful holiday in Scotland. 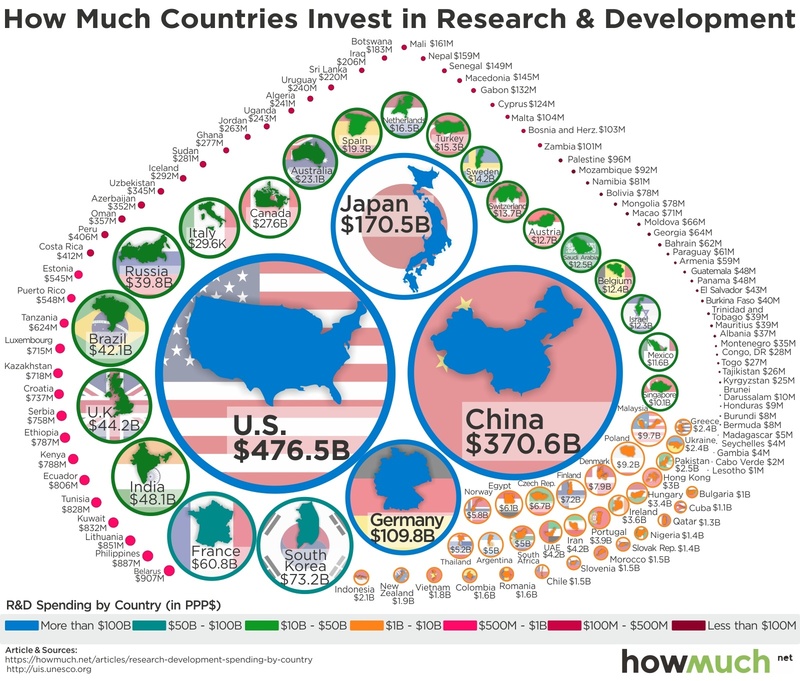 This week, Eva is asking us to makeover this visualization from HowMuch.net. The title is clear, making the topic easily known. The big numbers work well for the larger circles. It's an innovative design, but that doesn't mean it effective. The sequence is too hard to understand. The color legend is sorted descending. The colors on the ends are too similar. There's way too much text, making it all feel very squished. The color ranges aren't of equivalent size. The maps of each country inside the circles don't add any value. It would take forever to find out where a country ranked. Throw away everything they did and start over. I really liked the simplicity of Eva's viz, so I went with her idea of focusing on just the US. I wanted to understand how the contribution the US has made has changed over time.